An intense literary thriller. A road trip in a snowstorm takes a sinister turn for a man and his girlfriend, the novel’s unnamed narrator. a deviously smart, suspenseful, intense, and truly haunting book with a fuse long and masterfully laid. Though slim, clocking in at just over 200 large-print pages, the atmosphere is so laden with strangeness and dread that the burn at whatever pace feels torturous ... What’s remarkable in I’m Thinking of Ending Things isn’t that Reid has forged ahead, inventing new, unknowable, unclassifiable scares — it’s that he’s found a way to make us feel old fears fresh again ... 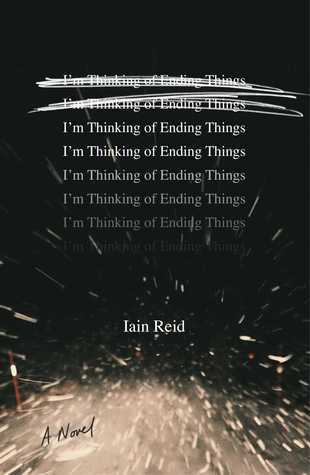 The problem with the ending of I’m Thinking of Ending Things is that it tries at the last moment, to give us an explanation, a way out. There are some hints throughout about the truth underneath all the uncanny menace, some subtle, others less so. But while I read, it didn’t matter. All I felt was fear and I never wanted it to let up. The novel unfolds largely through dialogue and internal monologue; descriptions of the external world are minimal and fragmentary. As a result, the book takes on a dreamlike quality, firmly rooted in the narrator’s voice ... Reid builds tension with a Hitchcockian intensity, through their visit with Jake’s parents, the mysteries of his childhood home, and the final scenes set in a dark high school. When the pieces fall into place, the novel comes together with a rush. It has the sort of ending that will inspire readers to re-read the novel immediately, to try to figure out just how it was done. The suspense of Reid’s novel depends heavily on this interspersed dialogue: Who are these people? 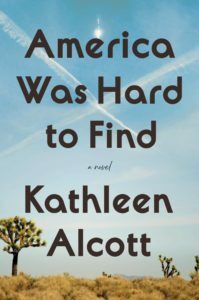 we wonder...While this bait-and-switch tactic is by no means a flaw — the early instances are especially effective in encouraging the reader to continue — by the novel’s end they come to feel more gimmicky than earned ... Reid’s mystery feels more non-­diegetic than it needs to be ... The ending hastily disposes of unexplained and unnecessary red herrings, and the revelation is at once too tidy and too convenient to be satisfying. What did you think of I'm Thinking of Ending Things?